Becoming More Sociable On Instagram. This time last year I barely posted photos of myself on Instagram, it was mainly beauty content or something to promote a new blog post, but I quickly found that I actually love posting more about my life, and based on my engagement my followers like it to. Over the past few weeks I’ve been posting more than ever, I’ve started being more transparent in my captions, and in general just being more me. Injecting my personality into social media as much as possible, basically, using Instagram in a more social way. I see so many people talk about Instagram and how likes are up and down with the algorithm, it is annoying, I get it. One day one of my photos will get 200 likes, the next one will get 550. However, I’ve found for me it’s more what I post rather than when, and I’m not even sure how much the algorithm plays into it. There isn’t really a set pattern in what determines my engagement, some posts will get a shed load within the first 20 minutes, some are slow burners but reach the same amount overall after 24 hours. It’s taken me a while but I’ve realised I can’t change the algorithm, but I can look at what works best for my profile, which is using Instagram almost as a mini diary and talking about how I’m navigating through life, my favourite things and what I’ve been up to. I notice it’s the beauty based product shots that are taken with my DSLR that don’t seem to do as well these days, I posted a photo of the most gorgeous L’Oreal highlighters from one of my recent blog posts. I’m not gunna lie I love the photo, but it didn’t get many likes or comments. When I think about it, that kind of photo works perfectly on my blog, but for my instagram it almost makes my account look like it’s been hacked by L’Oreal! I used to use Instagram mainly as a way to promote a new blog post or video, which I still do, but I want to actually create conversation, reply to people who have taken the time to comment and enjoy the platform for what it really is. I’ve found that actually, the people that follow me on Instagram don’t necessarily always want to read my blog or watch one of my videos, so I want to connect with them in a different way – actually show my face, my home, my thoughts and feelings. I want to share photos of beauty still, but in a way that’s more lifestyle focused and less staged. I’m starting to see Instagram as a place to get inspiration, good vibes and chat with people and when I use it like that it works out for me. I feel excited to post photos now, I’m stepping out of my comfort zone and showing more of me – and I’m really enjoying it. 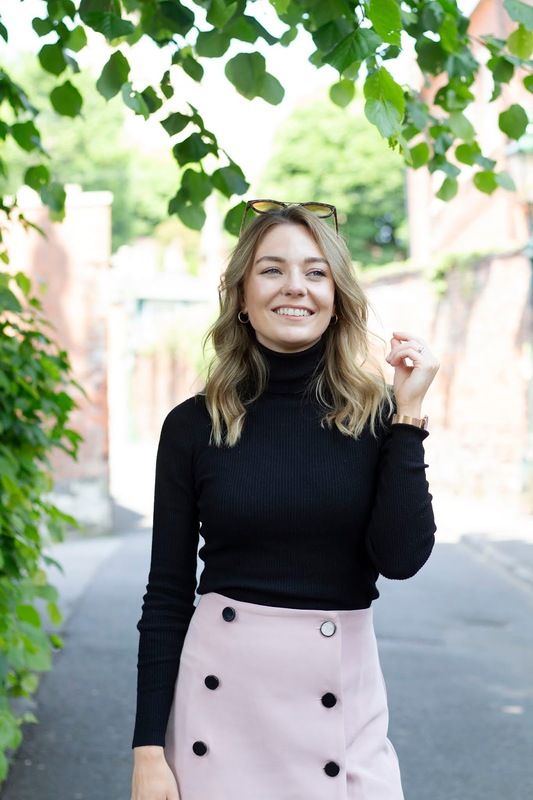 Rather than a boring caption about my new blog post going live, I’m sharing more about my day, how I’m feeling or something I thought was funny. Instagram has become more than just an app, it’s become a business for so many, but stripping it back and being more sociable has definitely worked in my favour – both from a business and personal point of view.